My school is an urban district with high poverty. 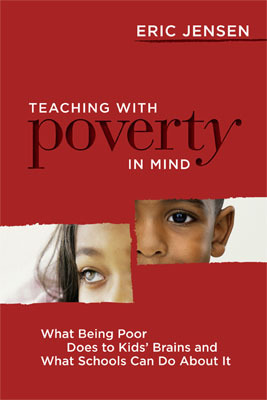 We are doing a book circle this year on the book Teaching with Poverty in Mind, by Eric Jensen. Every few weeks we are reading a chapter, and then we are meeting to discuss. The first chapter is basically an introduction to the various types of poverty, and defining poverty. There were a few quotes that really stuck out to me, and interesting conversation that ensued afterwards. 1) The section on teaching practice noted a change in school culture, to one of empathy, and understanding, rather than pity. I want to keep this in mind, myself, on a more regular basis, but I also want to think about how this change could take place on a larger scale, and what specifically, this would look like. 2) I also wonder, especially with the importance of understanding being noted above, how to best bridge the gap that is present in many cases between the culture of urban poverty, and those faculty and staff who are not from that culture. I think understanding is important, but how best to reach that understanding. I think some level of understanding is relatively easy, but how deep of an understanding can be reached without a shared experience? There is really a disconnect between this culture of poverty and the culture of school and higher education that we want students to be prepared for. Whether you have read the book or not, please chime in with your thoughts. I would be curious to hear from those who teach in high-poverty districts and those who don't. And here is the original linky, maybe some resonate with you? What are your goals for the upcoming year? Feel free to comment. If you don't already follow me on facebook, this is a good time to start. There are almost daily posts of science links, jokes, activities, and articles. In addition, next weekend (December 6-9), is a facebook hop. 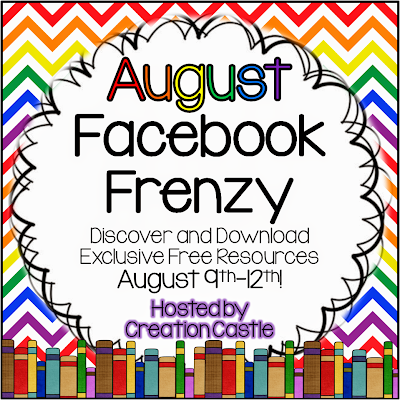 A bunch of secondary teaching facebook pages will be linked together and giving away freebies. Come like my facebook page and get freebies! 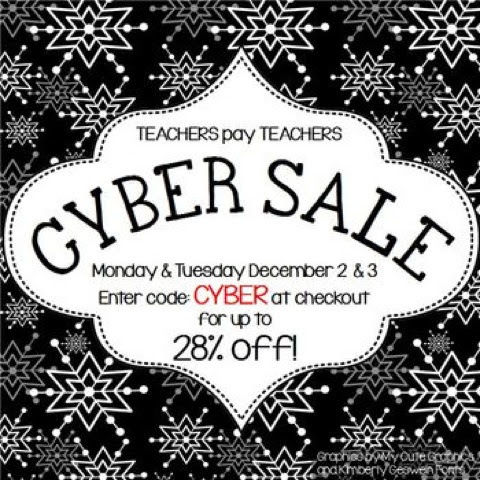 You can get up to 28% off on TpT Monday and Tuesday. Stock up and make it easy on yourself through the holiday season, or into the start of the new year. Get ahead and enjoy your vacation. In my store, everything will be 20% off through Wednesday! with the site wide sale, you can get 28% off Monday and Tuesday. Enjoy! Get your wish list ready!! I don't know if your students are anything like mine, but if they are, there are days that getting them focused and paying attention is a losing battle. Even if they are quiet, gettting them focused and attentive is a different story! 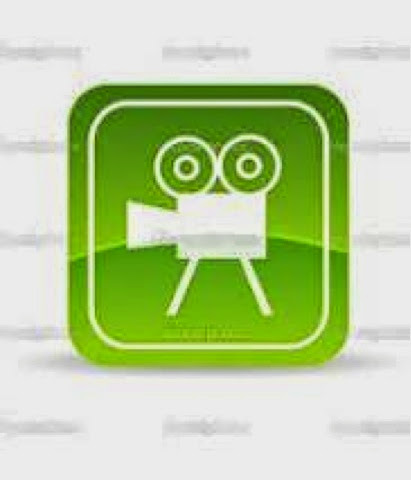 -- using video clips such as this that I have found online, and then creating a guided note sheet, questions, or an assignment to go with it. Here is one example of a great instructional video. http://m.youtube.com/watch?v=qhvSX0-I9N8. There are a lot, usually about 5-10 minutes long that can replace notes, introduce a topic, or reinforce notes. It's similar to the idea of the flipped classroom, in a way, except I'm doing it in class in this case, student can watch together in the board, or in their own on device,depending on the time you want to spend, and the structure of your class/access to technology. Kids say to me things like "remember on Friday in the video when that man was talking and he said...."
-- I have also created or found some even shorter video clips and photos to give lab instructions, and to show a model of something. It's big, easy for everyone to see, and they can rewind if needed. 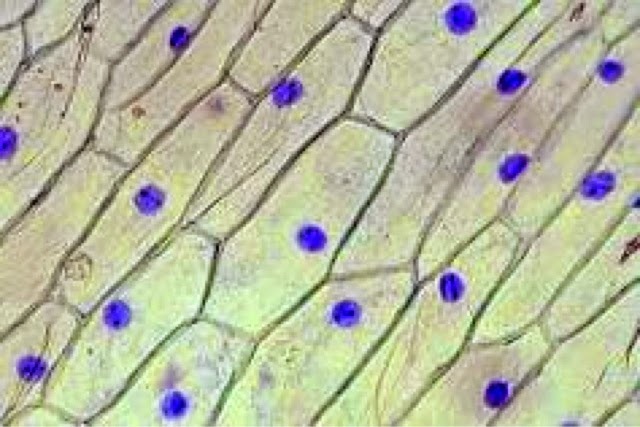 For example, I made a video of making the onion cell slide. Not great, but it was my first one. Easily filmed with a cellphone, tablet, webcam. For some reason, they seem to remember. Do your kids respond differently to a video? How do you use technology innovatively in the classroom? The linky will be posted on 15th of the month. It will be open until the next one opens. You may post a link to website or free resource, or a paid product. If you post a paid product, you must note that it is paid. If it is paid and not shown, the link will be removed. What will you do, did you do, or have you done to start your school year off right? How do you get your students interested in the class, and get that oh-so-important beginning of school going the way you want it?! 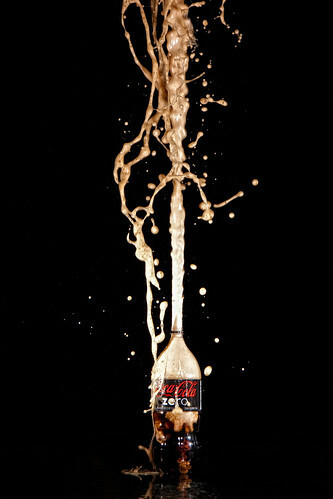 I included this picture because a friend of mine (brave soul) does the Mentos and Diet Coke activity as an experiment on the first day of school. Kids leave saying "I love Chemistry! I wonder what we are going to do tomorrow?!" The theme for August is classroom organization or classroom management. For example: incentives you use, ways that you help yourself, your students or you stay organized, tips that you have for planning or running various activities, etc. I took a class over the summer, towards TESOL certification. Some of you already know this. I enjoyed it, but it ended Monday, and, honestly, I was ready for it to end. I decided that this week of summer would be finishing up things around the house. Starting next week, I need to get serious about school. I am moving to a new school, and sharing a classroom. I have had push-in teachers before for certain periods, and I have had people come into my room to teach a period, but this will be different. I am sharing a room, and then sharing office space. I am supposed to meet with the teacher I'm sharing a room with next week. I think I have an idea what I'm teaching, but I really don't know for sure. I'm taking that as a sign that I should start serious work next week. Clean the windows and blinds. By the way, I HATE cleaning windows. And how do you clean Roman shades?? Cook food ahead to freeze for the first few weeks of school. There are freezer recipies all over pinterest, and books available. For the first time, I am trying one of the menus from Once a Month Mom. I have done some of their "mini menus" before, but never done a full menu. Today we did all the chopping and prep for the diet menu. I'll let you know how it goes tomorrow. Even when I haven't done that, but just frozen some dinners, extra spaghetti sauce, etc. ahead it makes a HUGE difference. Both in terms of time saved, ease when I get home, and especially decision making or choice. I can just take something out and be ready to go. Here it is in visual format. We will see if mine look anything like it! Finish up some of those projects around the house that I've been meaning to do, but haven't finished. We moved here 7 years ago. Moved when I was 8 months pregnant with my older son. In between I had a second child, changed schools and grade levels, and didn't do much to the house. When we moved in one of the things that we liked was that it was in good shape, and we didn't HAVE to do much. But there were things we wanted to do. Now we are doing some of them. The rest will probably wait until next summer. But, we paid to get wood floor in the living room, changed a light fixture in the dining room, did a little decorating in the bathrooms, and cleaned and shined up the cupboards, as well as installed new hardware. They look so different! Feels good to update a little. School shopping - new shoes all around, kids' school supplies, a few things for my classroom (even though I haven't seen it yet). Decide what 'fun' things I still want to do this summer, and find a time to do them. Squeeze as much fun as I can into these last couple weeks! What do you do to 'get ready' before the summer really ends? What do you do that helps you ease into the school transition? If you are interested in some great freebies, click on the link below. I am participating in the Facebook Frenzy. In this, you go through Facebook pages and collect freebies. I think there are about 30+ freebies available. They are only available through Facebook, so take advantage. Runs now until Monday 9pm. If you are getting ready to teach this year, you are probably thinking about Common Core! Here are some great resources to help you prepare for the year! A group of sellers contributed, and some excellent leaders at TpT compiled these fabulous back to school common core ebooks. There are books for each secondary core subject, k-2 math and ela, and k-3 math and ela. 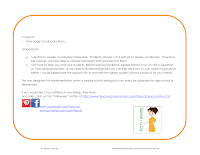 They include common core tips, free resources, and some paid common core resources. 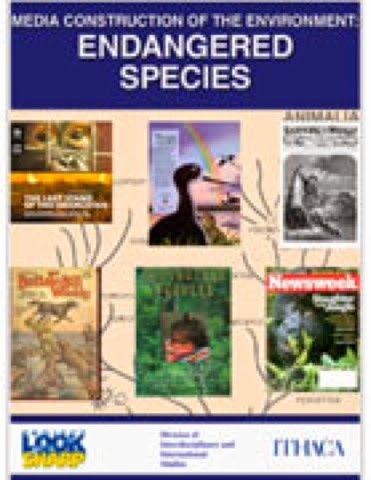 Here is the Science Book. 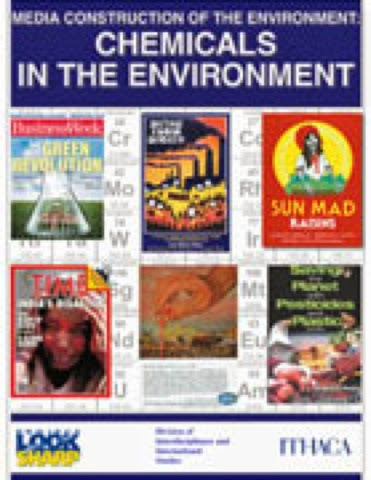 When you click on the science book, you will also see the other books! My blog has been quiet lately. I apologize. I have been enjoying the summer, as I hope you have been too. I have been working on doing some small home improvements, playing with my kids, and just relaxing! Such an important goal of the summer!! In between all the time of not doing work, however, I went to a professional development and was introduced to an amazing website that I wanted to share with you! The Ithaca College Look Sharp project focuses on media literacy. They provide case studies and lesson plans in many different subject areas related to media literacy. These are definitely common core related, and critical to becoming informed and educated citizens! Here are few pictures from the PD that I attended. More details soon. If you have an idea what these activities were about, please leave a link in the comments. 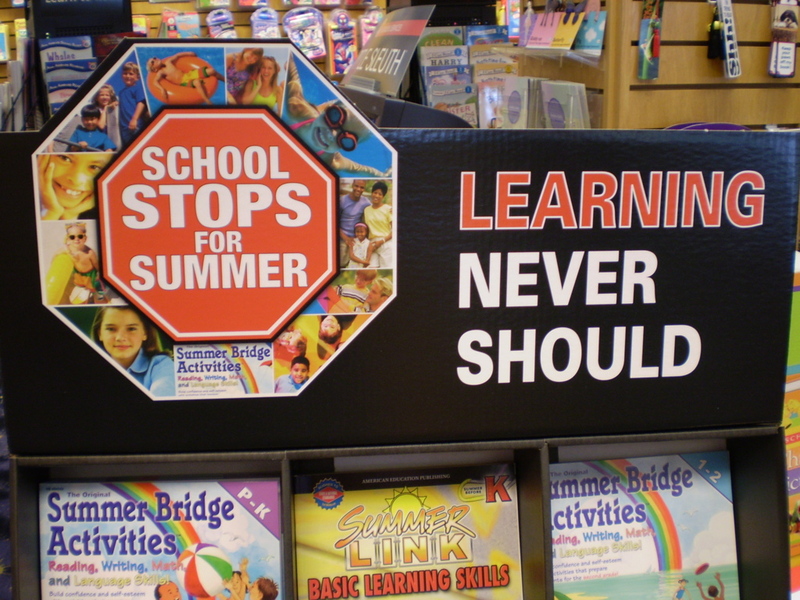 The theme for July is Summer Fun or Summer Learning Resources. For example: A seasonal activity, a fun activity that would be good to do with kids at home or in a day camp situation, or anything else related to summer, or learning outside the classroom. Please link up, and feel free to share! 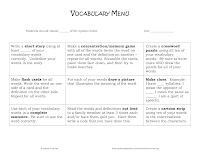 I wanted to share with you my vocabulary menu homework that I use. I give this often for weekly homework. Students choose 1 or 2 of the methods to review the week's vocabulary terms. They like the choice, and are able to choose the methods that work best for them. I am proud to be taking part in a Summer Planning Giveaway. Help yourself get a head start on the school year. Here is the prize back that my product is part of (there are other packs as well. All the details below). Everyone will start at http://imlovinlit.blogspot.com where Erin has done TONS of work to organize this very well-planned givcaway. Follow the directions there to collect the secret words and get the prizes! Here is my secret word! The product that I donated is station signs, in 3 sizes/styles. These are great for many subjects and classrooms. These station signs come in full page, half-page, and table tent sizes. They go from numbers 1-12 and are great to laminate, or just print and re-use to really make your station numbers stand out. I am starting a new adventure this week. I have a high population of ELL students at my school (about 30%). I happened to mention to someone at my church that I love working with them. They are often the high point of my day. She quickly said that a local university was just starting a grant funded program for current teachers, especially urban teachers to add TESOL certification. She suggested that I apply. I did. To make a long story short, I started my first class yesterday. I will take one class a semester, observation next summer, and student teach (and complete the program) the following summer. meets twice a week for 3 hours and 20 minutes. So far, in the first week, we are learning about our own language backgrounds and those of our classmates, some of the terms in the field of second language acquisition, and some of the cultural and environmental factors that go into learning a second language. In terms of content, the common thread this week was the varied factors that play into people learning and using multiple languages. In many cases these made sense, in a common sense way, but were laid out in much more detail. For example, people are successful at learning languages because of factors in their environment, such as their intrinsic motivation and analysis/attention to detail, the level and types of language that they are exposed to, the interactions that they have with other speakers, the amount of language that they are producing, and the amount and type of explicit and implicit correction that happen as they are learning the language. 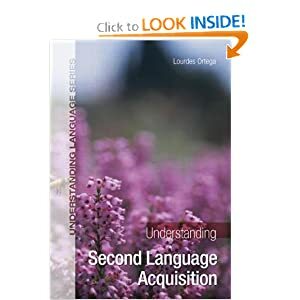 The other readings discussed social factors that play into language learning and language use, such as gender, social power structures and expectations, etc. By putting these together, it becomes clear that each individual student, and each cultural group, may have different abilities and affinities for learning a language, and different cultural backgrounds that play into their motivation to learn a language, even when placed in the same setting. As I read this, I thought of a few connections to my students. First of all, I think that code switching (or switching between languages, and dialects, based on situation) happens often, even with our native English speakers. For many African American students, the language that they speak at home, with parents, and with friends, is very different than the academic language that we ask of them in the classroom. I have been part of situations where I hear native English speakers speaking in one way to peers or parents before class, and very quickly changing their "code" for class. Additionally, this is also true of many of the parents of students. Those that cannot switch codes to a more appropriate code for school and business places often find themselves at a disadvantage, or not to be taken as seriously. They do not represent themselves the way that they want. On the other hand, people can be accused to "acting white." Teachers also practice code switching when developing a "teacher voice." Finally, I think electronics have led to a new type of code switching between texting and other written communication. I am curious if these fall under the same umbrella. As I read, I was also struck (again) by how multilingual most other countries and cultures are compared to the U.S. most of the dilemmas being discussed are foreign to us, where so many people only speak one language. I found some of the article on code switching, particularly the discussion of studies of type a of code switching confusing. My boys are interested in science, but my older one (who is in school), seems to do a very limited amount of science. I am biased, being a science teacher, but now that summer is here, I signed them both up for a half day, one week, camp at our local science museum. I am so impressed at the amount of content that they can get across to a very young audience (ages 4-6), in a short amount of time (2 hours). Both of these classes have a very high student-teacher ratio, seem to have a good supply budget, and have students and parents who are invested in being there, etc, but still, I wonder what lessons we can take away from their classes to our classrooms. My little guy is doing "Exploring Science". It is a 4 day camp. So far they did one day of living things and one day of chemistry. They saw pictures of X-rays, saw skeletons of some animals, and colored pictures of plants, as well as started a seed. That was all in the first 2 hours. On the second day they made oobleck, tried different things to melt ice, and made a volcano model and read a story about bubbles. My older one is doing "The Great Ice Age." They have already tried different ways to melt ice too, went into the museum to see the glacier and wooly mammoth, read a story about the first mammoth discovered, and how mammoths used to be hunted, and played with "fossils" in the sand table. On the second day they made an elk mask, made a diorama of a saber toothed tiger habitat, and he came home with lots of other tidbits -- did you know some plants survived the ice age?! Did you know there used to be a glacier here?! A diorama of a sabre toothed tiger. 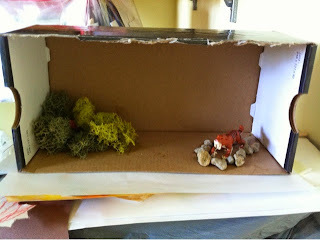 Under the moss is a volcano! They were both so excited. My little guy had trouble verbalizing some of what they did and trouble connecting it to what he learned, but I have no doubt that the experiences are good. My older one was so excited to share all of his new knowledge. What I also noticed, because its younger kids and because its not school, they aren't writing anything about what they did. That is good and bad. They aren't doing any worksheets. But are they learning? Absolutely! How do we practice writing and connect to common core? Maybe do few higher quality writing pieces? How do we assess their work without writing and worksheets? Maybe with a rubric and conferences? Maybe verbal explanations of a project? This is harder, to me. 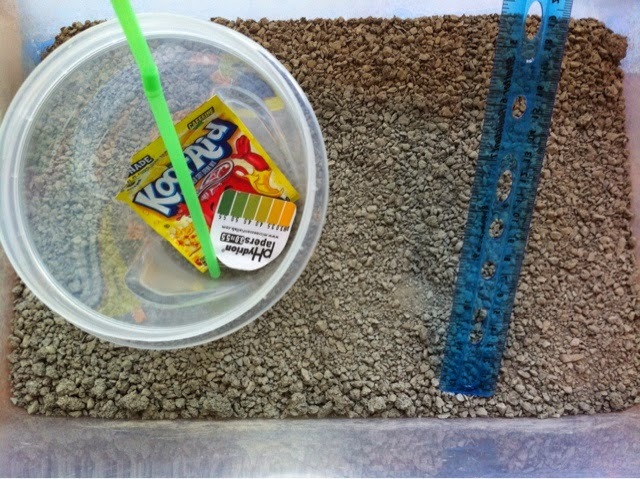 I'd love to hear your thoughts on how to do this, in a regular classroom setting. Maybe it's just foreign to me because I'm used to older kids? What thoughts do you have? 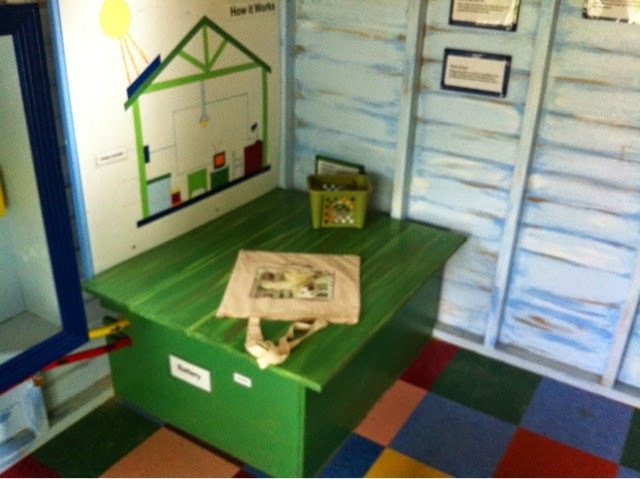 During this last week, I went to a museum with my kids and saw this solar clubhouse. 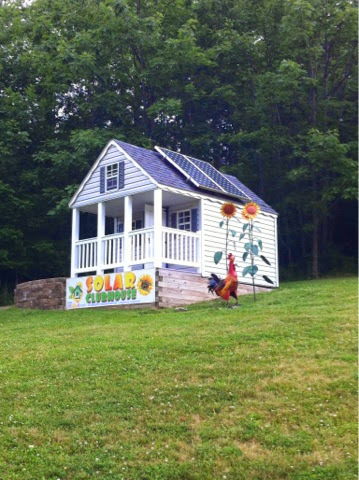 This is clearly a clubhouse made for younger kids, but it is focused on solar energy. 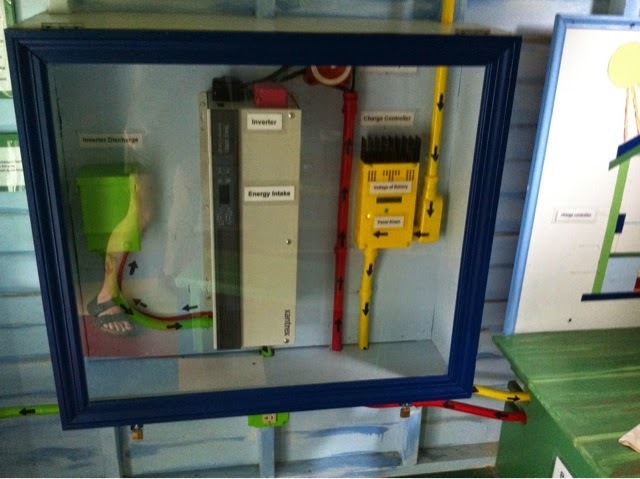 I think the size and look of it is immediately inviting to kids, and then when they walk in, the parts are labelled, and explained in fairly simple language. My 6 year old didn't understand all of it but was very interested to read and try to understand. How can we bring this experience to the classroom? 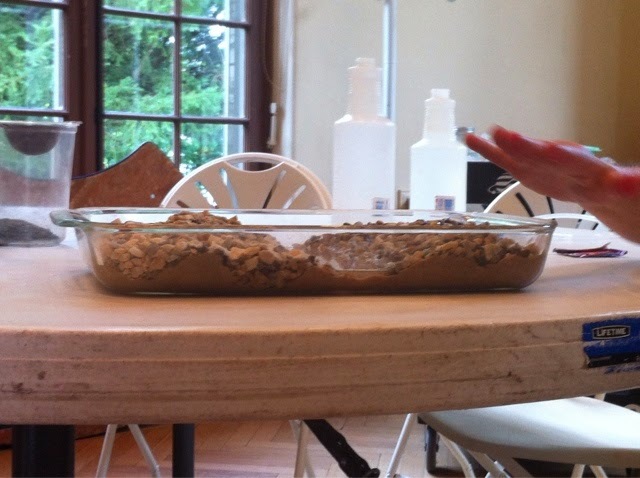 1) Size. The size of examples and demonstrations, etc., can really change how it is perceived. 3) Relevance. Because its a clubhouse, and the examples are plugging in a light or tv, it is more understandable. 4). This is all done without lowering the level of content. The concepts being explained are still complex and not oversimplified. What else do you see that you can take away from that example? How can we bring this into our classrooms? I think these are principles that we know, but often lose track of while teaching "curriculum"
Anything you have done that is a good example of this kind of teaching? Or anything you've seen? teaching, or at a time that they should not be able to go. 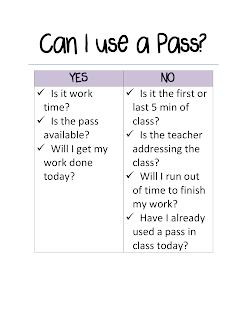 To try to help alleviate this, I have made this “Can I Use a Pass?” sign. It can be posted in a few places in the classroom, and can answer many of those questions simply by pointing to it, and training students to check there before asking for a pass. It is very simple, and could easily be modified to fit your needs, but the concept might help your classroom. A good thing to keep in mind as you think about procedures and organization over the summer. I am part of two events that I wanted to share with you. Both are great timing as school is wrapping up for the summer, and we will likely spend at least a little bit of time this summer just browsing and reading up on related articles. 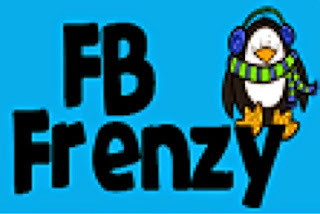 First of all, I am participating in a Facebook Frenzy Freebie Event. In this event, as you go to different Facebook pages, you get a variety of freebies. It starts tomorrow, and goes through Monday. Thanks to Creation Castle for hosting. You can click on the image to go directly to it! Secondly, I am participating in a blog hop of science blogs. I have already found some great new science related blogs. 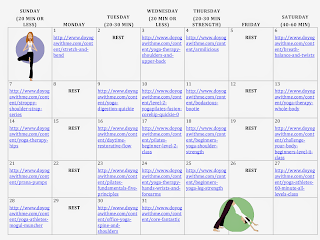 One of my goals is to host a monthly linky on different topics. Mrsharristeachs is hosting this, but wants to share the linky so that it can display on other blogs as well. I am going to count this as my first one! 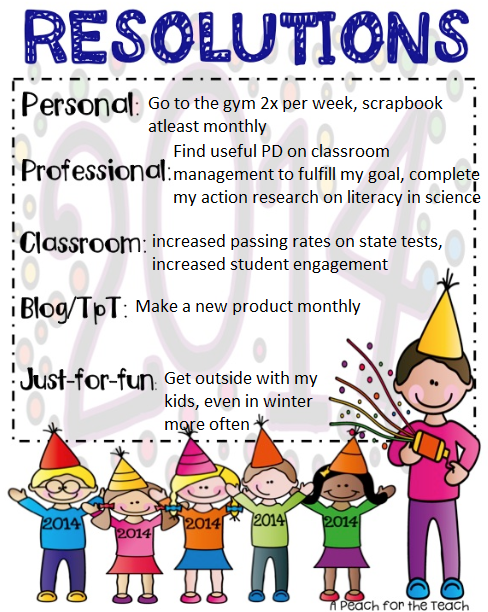 Non-Teaching Related Freebie - Celebrate The End of the School Year! This is not a traditional freebie, because it is not directly classroom related, however, as the school year is coming to an end (for some of you it has already ended), many of us are focused on goals for the summer, or plans that may or may not involve our classrooms. One of my goals is to focus more on physical fitness and stress relief. For me, that means that I want to do more yoga. I found an amazing site, called doyogawithme.com that has MANY yoga videos at many levels, focusing on different body areas, for free. I made myself a calendar (a 30 day plan), that I would like to share with you, in case any of your summer goals are the same. 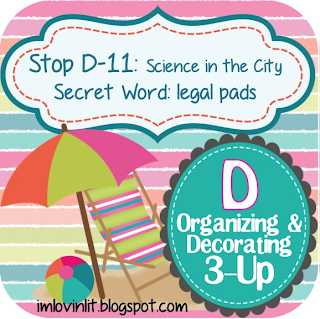 There are two versions in the file, a calendar (July) and a plan that just covers 30 days. Each week it includes 2 rest days, a 40-60 minute routine, two 20-30 minute routines, and 2 shorter routines. There is a mixture of stretching and strength. Anyone want to join me and see if we can stick with it? How to Reconcile Standards with Students Below Grade Level? As many of you know, I teach in a district, and a school, where most of my students are below grade level (Title I, Focus School, etc). How do you take your kids from where they are, to where they need to be, when that is as far away (and foreign) as the stars for some of them? I was in an interesting conversation today about how to address that, and meet the standards/curriculum/state tests. I see two things mostly happening, and I'd love to hear which side you fall on and why, or if you think there is another position. 1) Teach the curriculum, at the level that it is supposed to be taught. This allows those few students who are higher/above grade level to get the opportunity that they should. Try to provide scaffolding to help students be more successful. This might come in the form of before/after school tutoring, additional homework, starting out easy and quickly ramping up, or other scaffolding strategies to help students reach that level. 2) Recognize that the course is way over students heads in many ways, and that most of our students don't do homework, so focus on keeping them engaged in class, and feeling successful. Keep the lessons more at a basic level, and offer some 'challenge questions" for the higher students. Then put in some test prep strategies, and focus on major concepts to see if you can get test scores up. I see pros and cons of both, and would be glad to elaborate, but I'd love to hear what you think? Which camp do you fall in? Or are you somewhere else? How do you get students to a level of rigor that they are not comfortable with, when the curriculum demands it? What is meeting their needs appropriately? What is lowering expectations? 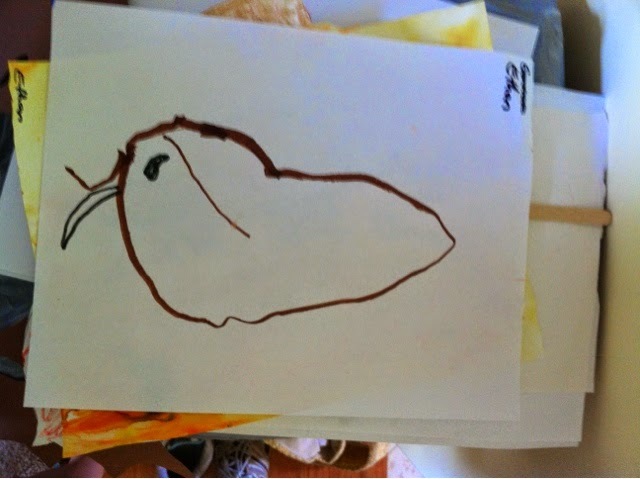 My son recently did a unit on earthworms, in first grade. 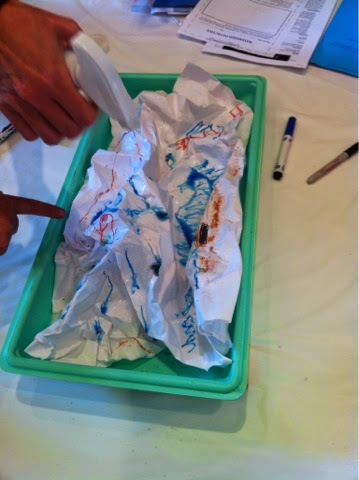 He learned a lot, and they had a vermicomposting bin, as well as reading and writing about earthworms. It was a really cute unit, and he learned a lot. However, they started off the unit with a KWL. What he wanted to know is "How do worms communicate?" A very interesting question, and one I didn't know the answer to (chances are his teacher didn't either). Many times throughout the unit he came home saying "Guess what I learned....but I still didn't learn how worms communicate." At the end of the unit, a sad boy came to me....we still never learned how worms communicate. As a teacher, and a parent, I went online and looked it up and discussed with him. However, how many parents don't have the knowledge or resources to do that? Or how many kids wouldn't ask, but on some level would know that their question hadn't been answered. What does that teach kids about education and school? If you do use KWL charts, how do you address the questions that kids come up with that are just not in your curriculum, you don't have time for, or you don't know the answers? In a perfect world, we could pursue their interests, but since we are all on such tight curriculum schedules and standards, I think this sets a bad precedent. What do you think? Depending upon the culture at your school, and the prior experiences of your students, when you start doing group work and projects, they may need to some scaffolding to help that process go smoothly. They may have trouble working together, or staying on task. One tool to do that is this freebie. Is it a simple checklist of what everyone in the group should be doing. Its very basic, but seems to make a big difference with kids helping to keep each other on task. It shifts some of the responsibility to them. There is a spot for a team leader. Its your choice if you want to designate a consistent team leader, or have it rotate. You may be very surprised at who is a good leader (and who likes to be a leader). It might not be who you think! One of the activities that I have done with my class that I am the most proud of is a milk carton recycling program that I did with my AP Environmental Science class 3 years ago. I had a great group of girls, and we decided to enter to Lexus Ecochallenge. They outline the steps to be taken pretty clearly, including identifying a real problem in the school or community where they could make a difference, and then implementing a plan. After much discussion, we planned, and successfully implemented a plan to recycle the milk cartons at lunch. 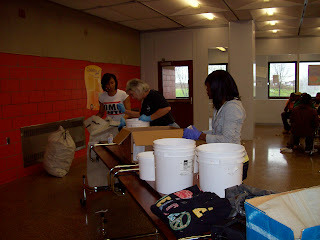 We worked with the cafeteria staff, the custodians, garbage collection, and the group that does the recycling. We got buckets to rinse the cartons, worked out a way to clean and store the buckets. We got special bags to put the milk cartons into, and developed a process to collect, clean, and store them until they were recycled. We worked out a schedule for who worked which lunch periods. They really did it! They carried through until the end of the school year. In the end approximately 10,000 milk cartons were recycled by our small group! Two other very cool parts of this project, besides the learning experience for my class was (1) the involvement of the principal. He was really excited and would often help out at lunch time. 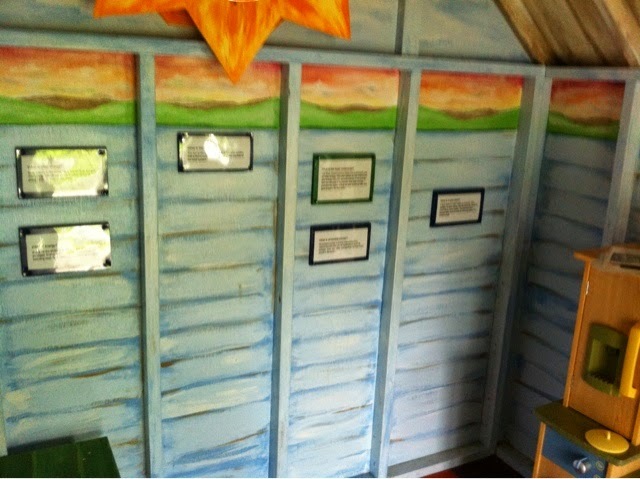 (2) the learning experience for the other students in the school. Since we were visible in the lunch room, other kids would often ask why we were collecting them. This led to kids from other lunch periods, or from breakfast, bringing cartons to my classroom. I got a box and would collect them there, then at lunchtime we would bring them down and put them with the others. It spread! Such a small step can really make a difference. I think the class learned on so many different levels. That's the kind of 'real' learning that's energizing and exciting to teach!